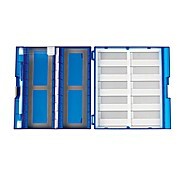 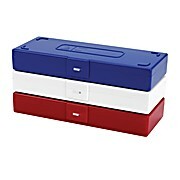 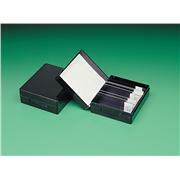 Durable Polycarbonate, safe storage of 3x1 slides. 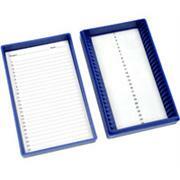 Temperature - resistant numbered foam lining and identification sheet, stackable and autoclavable. 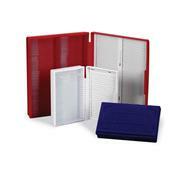 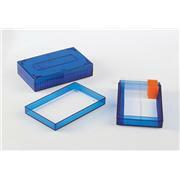 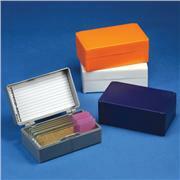 Plastic (ABS) boxes with hinged lids hold standard 75mm x 25mm microscope slides. 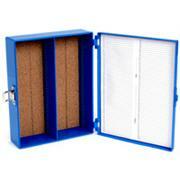 Bottoms are lined with cork and a printed index is mounted inside the lid. 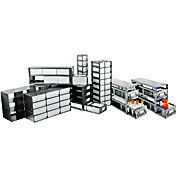 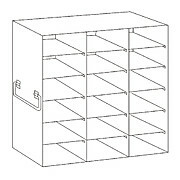 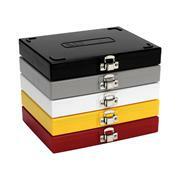 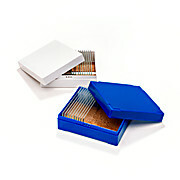 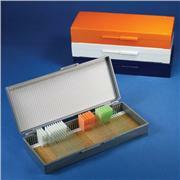 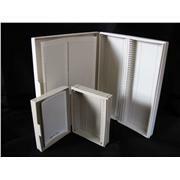 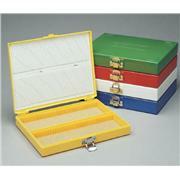 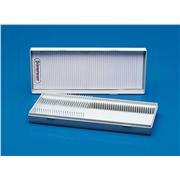 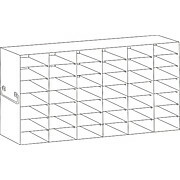 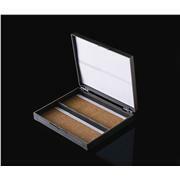 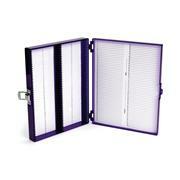 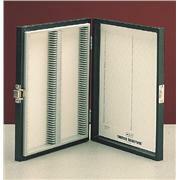 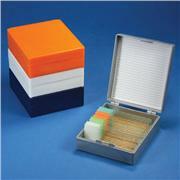 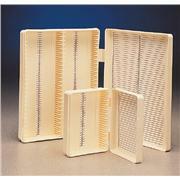 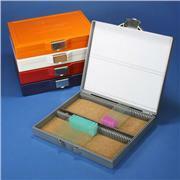 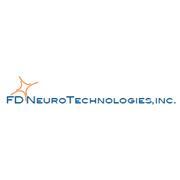 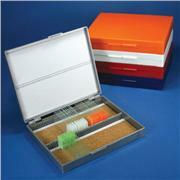 Create a file system for your slide boxes Storage racks make organization of your samples easy. 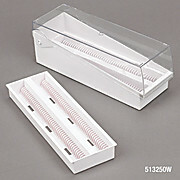 The clear acrylic construction allows you to see the labels on the slide boxes. 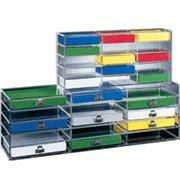 Place boxes in rows or columns by color to create an easy coding system. 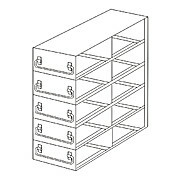 Each rack holds up to 15 slide boxes.